So much of the important work that our projects do is dependent on donations and they have some amazing support from volunteers, friends and family. 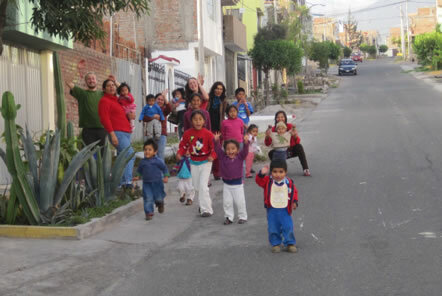 When Gemini - a great friend of Pod Volunteer - recently got married, her and her partner asked that instead of wedding gifts their guests instead provided donations to support Pod Charity and specifically, the Children’s Shelter in Peru. The Shelter cares for around 20 children who are under the age of 10 who cannot continue to live with their families for a variety of reasons, and so have been placed in the shelter by the local social services. 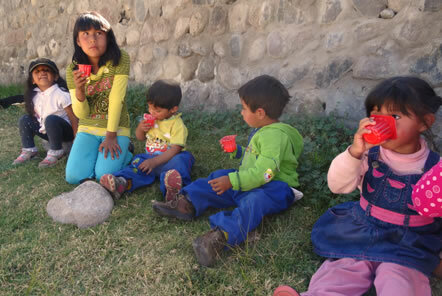 The children at the Children’s Shelter are cared for by a hard-working team of local Tias who are full time Peruvian volunteers, who work alongside Pod Peru volunteers. 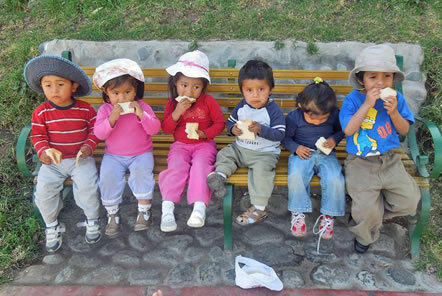 One of the main aims of the Children’s Shelter is to provide the children every day with good, nutritious food; this has proved to be a difficult task for the Tias. With so many children at the home, the Tias have been very limited in their cooking options with only a small domestic oven catering for 20 children and the Tias themselves on a daily basis. This is where Gemini and her partner were able to help. The money raised by their wedding guests has been used to buy the Children’s Shelter a brilliant oven to provide the children with fresh food on a much larger scale. We spoke to Miguel, the local charity trustee who is delighted that the oven will bring so many positive benefits to the home "the oven will make the hard task of feeding all the children much easier for the full time volunteers in the Children's Shelter, giving them more time to help organising and looking after the children". We are also very excited for the project as they are now planning to use the oven to generate additional income for the Children's Shelter! As Miguel informs us "the oven will allow the team to bake cakes, bread and cookies, not only for their own consumption at the Children's Shelter but also in order to sell to locals and help fundraising for the home. It will also allow them to organise grill and barbecue events, also for community fundraising that has been proved to be a good source of income previously". Income generation projects like this are vital to ensure a projects self-sufficiency and reduce their long term dependence on donors and as such the donations made by guests of Gemini's wedding have really helped the local team to achieve a great deal both in terms of the immediate needs of the children and the long term support of the Shelter. We are so pleased that this donation through the Pod Charity will be able to have such profound positive and varied effects on the lives of the children. A big thank you from all of us at Pod Volunteer and our projects for all the hard work and generous donations that we receive that enable the projects like this one to continue to grow and progress!